One Person Company (‘OPC’) means a company which has only one person as a member. Paid up share capital of an OPC shall not exceeds fifty lakh rupees or its average annual turnover during the of immediately preceding three consecutive financial years shall does not exceeds two crore rupees. 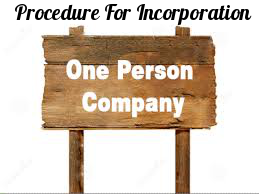 § No person shall be eligible to incorporate more than an OPC or become nominee in more than one such company. § Only a natural person, who is an Indian citizen and resident in India i.e., a person who has stayed in India for a period of not less than one hundred and eighty two days during the immediately preceding one calendar year, shall be eligible to incorporate an OPC. § Only a natural person, who is an Indian citizen and resident in India, i.e., a person who has stayed in India for a period of not less than one hundred and eighty two days during the immediately preceding one calendar year shall be a nominee for the sole member of an OPC. § Minor cannot become member or nominee of the OPC or can hold share with beneficial interest. § OPC cannot be incorporated or converted into a Section 8 company. § Income-tax PAN is a mandatory, AND any one of the Identity Proof (Voter ID/Aadhar Card/Driving License/Passport), any one Proof of Residence (Electricity Bill/Telephone Bill/Mobile Bill/Bank Statement). § Registered Office address proof (rent agreement along with latest rent receipt and copy of latest utility bill in the name of landlord and a no objection certificate from the owner of the premises, in case the premises are rented). In case the premises are owned by a Director and Promoters, any documents establishing the ownership such as Sale Deed/House Tax receipt etc along with the no objection certificate. Digital Signature Certificate (DSC) and Director Identification Number (DIN) for all the proposed Directors of the Company must be obtained. Digital Signature is the only secure and authentic way that a document can be submitted electronically. All filings of e-forms on MCA Portal are required to be filed with the use of Digital Signatures by the person authorised to sign the documents. For Obtaining Digital Signature application needs to be made, to licensed Certifying Authority (CA) along with a self attested copy of Proof of Identity & Proof of Address. For obtaining DIN an application in Form No. DIR – 3 should be filed on MCA Portal. DPIN application is processed and approved by the Central Government through the office of Regional Director, Ministry of Corporate Affairs. Form No. DIR – 3 must be accompanied by self attested copy of PAN, Proof of Identity and a Proof of Address and one recent passport size colour photograph of the Applicant. Pan card is mandatory for Indian Nationals. All the documents must be attested by a practicing professional viz. practicing Company Secretary, Practicing Cost & Management Accountant, or practicing Chartered Accountant. Name approval has to be obtained from the Registrar of Companies (ROC) by submitting an application in Form No. – INC 1. The Applicant can give maximum six names in order of preference. The name once approved by the authority is valid for sixty days. The Promoter/Subscriber to the Memorandum and Articles of Association shall be the applicant for the availability of name application. The name once approved by the authority is valid for 3 months. Name approval generally takes 1-2 business days. The proposed names for the company given in Form INC-1, shall end with, OPC Private Limited or Private Limited OPC. 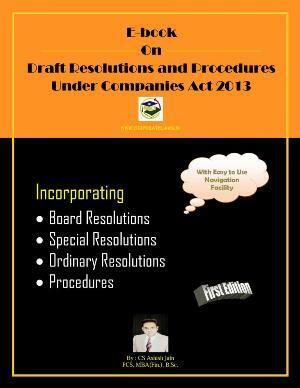 After obtaining name approval, the draft Constitutional Documents of proposed Company i.e. Memorandum of Association (‘MOA’) and Articles of Association (‘AOA’) of the company is to be drafted and then filed with the RoC along with the forms and other necessary documents stated below. Subscription Pages of MOA & AOA – Memorandum and articles of association of the company shall be signed by each subscriber to the memorandum who shall mention his name, address, description and occupation, if any, in the presence of at least one witness who shall attest the signature and shall likewise sign and add his name, address, description and occupation, if any. The witness shall be a practicing professional viz. practicing Company Secretary, Practicing Cost & Management Accountant, or practicing Chartered Accountant. 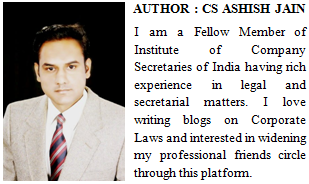 In addition to Memorandum and Articles of Association and its subscription pages, few other documents such as Affidavits, Consent Letters, Certificate of Compliance from a practicing professionals in Form No INC – 8, etc. will be prepared and filed with the incorporation forms. The Subscriber to the memorandum of an OPC shall nominate a person, after obtaining prior written consent of such person, who shall, in the event of the subscriber’s death or his incapacity to contract become the member of the company. Consent of such nominee shall be obtained in Form No INC.3 and shall be attached in Form No INC.2. 3. A Power of Attorney to be executed by subscribers and proposed directors (authorization by the promoters of the company to a person/s to carry out appropriate changes as suggested by the Registrar of Companies in any of the incorporation papers that have been filed). After filing of Incorporation documents, an officer at the Registrar of Company’s office will scrutinize the application and he may require certain clarifications. These clarifications or inquiry need to be satisfied by the applicant or power of attorney holders in order to get Company incorporated. Once all clarifications are provided, the Certificate of Incorporation is issued by the Registrar of Companies along with a unique Company Identification Number (CIN) and the Company is deemed to be incorporated from the date of the Certificate of Incorporation. Once the Certificate of Incorporation is issued, Company may apply for PAN, TAN, Bank Account Opening and other tax and regulatory registration as may be required to run the business smoothly. After incorporation, a Bank Account in the name of newly incorporated Company shall be opened by the Board of Directors and the Subscribers of Memorandum and Articles of Association of the Company shall deposit their subscription money in such bank account to help the company raise initial capital to start its business.